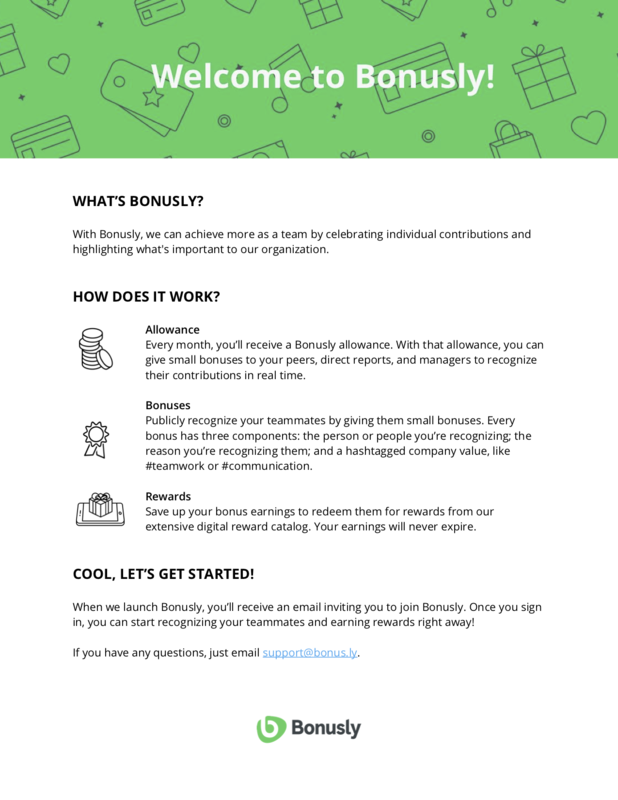 To get started, all you need to do is invite your team members to Bonusly. Each employee will receive a welcome email! For even more tips, check out our post on How to have a successful Bonusly launch. 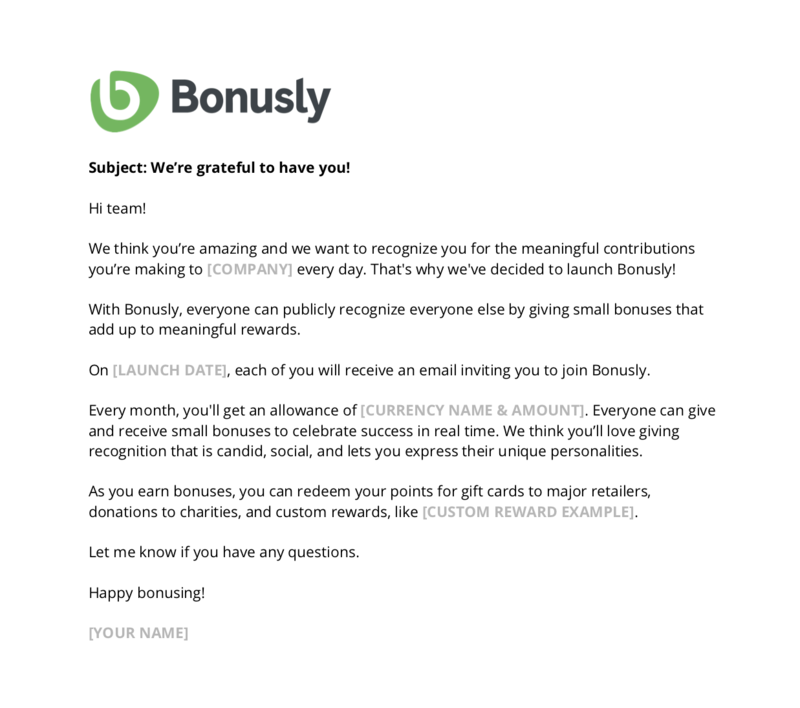 Did you announce Bonusly in an interesting or creative way? We'd love to hear about it! Send us an email or a tweet!